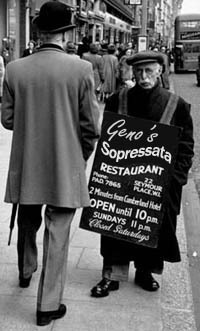 At Sopressata.org we have several advertising and sponsorship opportunities. Our sponsors are critical partners helping us provide this resource for the sopressata making and aficionado community. Supplier Listing Web Link and Photo ($25 annually) adds your web link and photo to any free supplier listing as described above. Contact: jimmy@avitra.com to update your free listing with a web link and photo. Sponsorship ($25 annually) have your business, group, family or organization listed as a sponsor for one year in the “Our Sponsors” section. Typically this section can be used for non-sausage related advertising.